Allergic diseases include anaphylaxis, food allergies, forms of asthma, conjunctivitis, eczema, eosinophilic disorders, and drug & insect allergies. According to the International Study of Asthma and Allergies in Childhood (ISAAC), an estimated hay fever prevalence in 13 to 14 year old children was approximately 22.1% globally, with 29.5% in Africa, 23.9% in Asia, 15.8% in the Indian subcontinent, 23.7% in Latin America, 33.3% in North America, 12.3% in Northern & Eastern Europe, 39.8% in the Oceania, and 21.2% in the Western Europe. It is essential for patients to receive an accurate diagnosis of hay fever. In addition, food allergies are on the rise. An estimated 17 million Europeans have food allergies, and according to European Academy of Allergy and Clinical Immunology (EAACI), over the past decade, hospital admissions for severe allergic reactions in children have risen seven-fold. In the United States, according to the CDC report, food allergies result in more than 300,000 ambulatory-care visits each year among children less than 18 years of age. 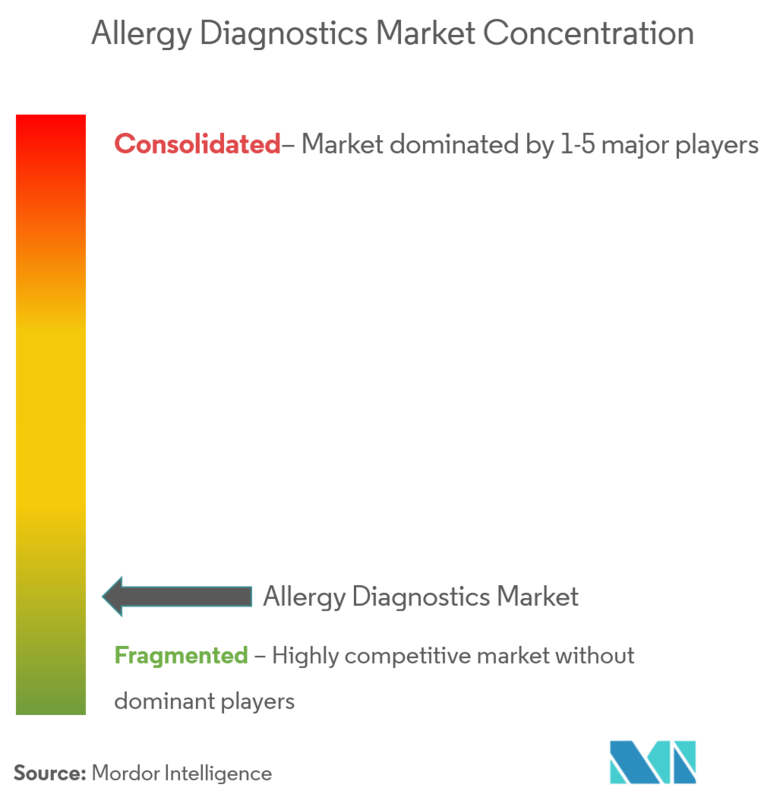 Therefore, with the growing incidences of allergic diseases, the new diagnostic market for the same is expected to grow at a good pace. 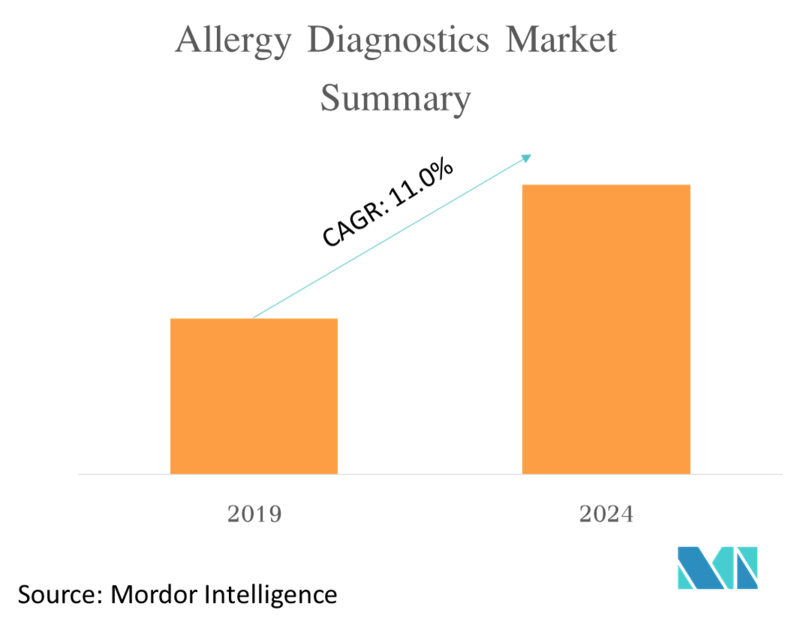 Furthermore, the latest diagnostic strategies for allergies and research on new approaches for treatment are expected to drive the market. The clinical condition in which a harmless external agent is suspected to have a pathological effect on a human causing discomfort, allergy diagnostics is performed. The diagnostic procedure for allergies depends on the type of allergens and the mode of transmission. Allergens are of various types such as consumed, injested, contact, inhaled etc. Of which the inhaled allergens holds the largest share as it is the most common among all the allergens. Some of the most common symptoms of allergy due to inhaled allergens is itchy eyes, sneezing, and watery eyes etc. The rising pollution in the environment coupled with the changing lifestyle of the people is boosting the segment growth. On the other hand, food allergens still remain to exhibit the fastest growth rate owing to the unawareness among the individuals regarding certain food allergies. Hence, propelling the segment growth. 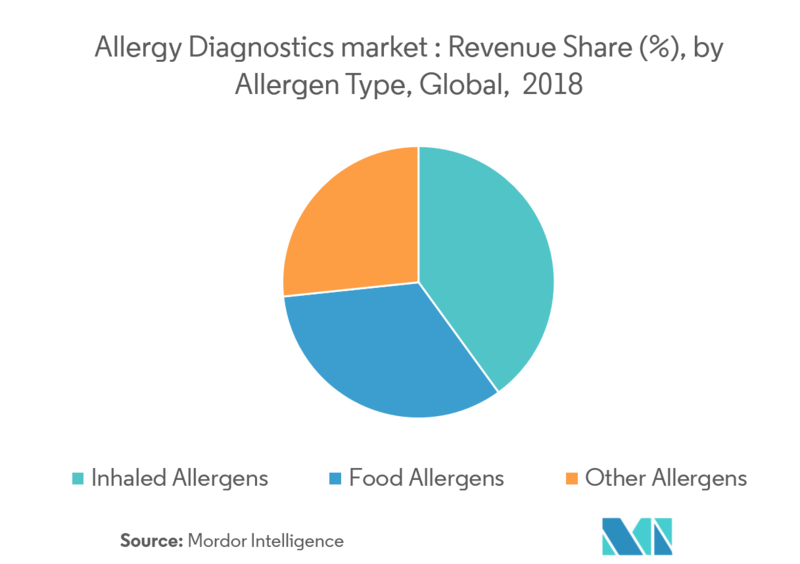 North America is currently the largest market for allergic diagnostics globally, in terms of value, and occupies the major share of the global market. The large market size of the North American market is mainly due to the United States, which represents more than 80% of the North American market. There are several factors that make the United States the globally largest market for allergy diagnostics, such as high awareness towards allergies in the US population, better regulatory guidelines which mandate allergic testing in all cases of intensive and emergency care, and better healthcare infrastrcuture to deal with patients allrgeic situations. General allergy testing is also very high in the United States, approximately 1 in 6 Americans (around 50 million) suffer from some form of allergy and approximately 25 million Americans suffer from respiratory allergies. 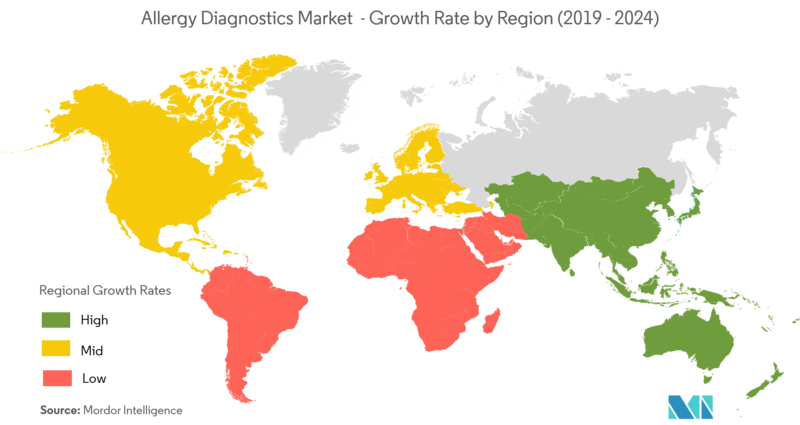 The presence of major market players such as Biomerieux, Danaher Corporation, Omega Diagnostics, Siemens Healthineers, Thermo Fischer Scientificamong others is intensifying the market competition. The increasing innovation and rise in investment for various public and private organizations are expected to intensify the industry rivalry across the globe.